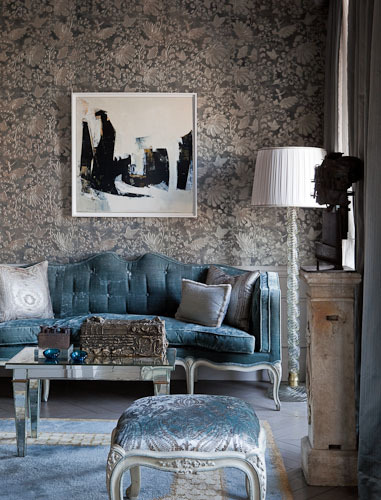 Remember this pretty apartment in Paris that I wrote about in the post Blue Monday last month? Well, you can see more of it and who owns it in the January 2011 issue of Harper's Bazaar. Interior designer Chahan Minassian worked with Sally and Michel Perrin of Perrin Paris on this dream apartment on the Quai Voltaire as well as their home in Los Angeles. Now that I know who owns it, I wonder if I can persuade them to let me stay there when they are away. A girl can dream!